Windows Phone devices are selling 6 times faster than the average rate of the overall smartphone market, according to Microsoft. The company finally had some good news to share about Windows Phone picking up steam. Now, Microsoft’s Windows Phone is firmly the third ecosystem, Windows marketing head Tami Weller said at the 2013 Microsoft Worldwide Partners Conference. In June, we have already heard the same story about the third ecosystem from Larry Lieberman, a senior Windows Phone product manager. Now, Weller stressed how important devices like the Nokia Lumia 925 and Lumia 928 are and that developers should not hesitate to code for the platform. We are soon expecting to see Nokia report its quarterly results where that growth in Windows Phone sales should finally start to show. Let’s not forget that in just two days, Nokia will unveil the hugely important, possibly revolutionary cameraphone, the Nokia Lumia 1020 with a 41-megapixel snapper. We’ll cover it all as it happens, so stay tuned. I dunno man, I have an OG Samsung Focus and that thing still runs really smooth. Wish I could say the same for my Galaxy S, which has nearly identical specs BTW. I also have a Galaxy S, runs just as smooth as my brother´s Nexus 4. But mind that mine is rooted and running jelly bean 4.2.2. Lets compare a 2011 Single-core device with a 2013 Quad-core device! Whats wrong with you? Also it's a 2012 quad-core device NOT 2013. Sorry SuperAndroidEvo, my bad, I was also wrong thinking the Focus was from 2011, it was 2010. You have a very weird way of telling jokes, that's for sure. Android also does something else better than WP8: it helps open doors to a variety of malicious sources that want to steal your personal banking information. Android is great for spreading viri, and other unsavory code... If you want to have your personal information stolen, and distributed over the internet, then you should definitely choose Android! You're just helping me prove my point. Sure, Android has better features, but if you want a smartphone that'll hold up better in the long run (hacking aside), nothing compares to WP8, it's that well optimized. Okay, now give my Focus the same features and specs as your DNA or my Nexus 4, it'll be just as, if not more fluid. Again that's because WP just CAN'T DO what ANDROID can. Now let's put all the same Strain that Android handles on WP & it will be slower than a snail, no matter what specs the WP has. It can be the BEST specs or the worst specs. Android as an OS is from the future compared to WP. More complex & mature. WP is like a child that is 2 years away from Puberty. That is my point. Comparing WP to Android is useless. You can't compare apples to oranges. Period. I don't think that either would want to be compared to Apples. Both are better than that! i had a Samsung Focus and also a Galaxy Nexus. Galaxy Nexus had more features than the Focus though but the Focus was more dependable. Its always been fluid and smooth with no FC's. Android ,if i may say is for really advanced users. But if u want a platform to cater for your everyday normal duties its gonna be a Windows Phone. It jus does it.period..On a more serious note , what really cant WP do??? you prooved a jack squat. You´ve just posted some points which in your opinion should be taken seriously. People who choose windows don´t care about what you posted above. Get over it. Android is not the best and is not the only one insofar, luckilly, we´re not the same. Yeh uve said it most of the commonly apps r available but not all unfortunately, and this (not all) maybe is an issue to some users to switch to other platforms, i use magic jack app to communicate with ma relatives in us and Canada which is not found on the windows store, i like nokia n maybe I'll like windows phone if i use it but the lack of some apps still holding me back. Second paragraph is total opinion, which works for you but not many of us. Personally, as long as they have the tiles, I'll never buy a WP device. I believe the tiles are what keep people from both WP8 and W8, it just isn't catching on like MS thought it would. Speed and options really don't matter much when you have to look at tiles EVERY TIME YOU TURN YOUR DEVICE ON. 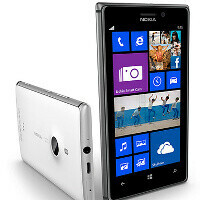 MS missed the boat and totally screwed up, and if it wasn't for Nokia, they'd be dead in the mobile world right now. Even with Nokia, they are still single digits market share. There's far more to a device than just how smooth it runs. lol try switching from android or iPhone to WP and you will realise how s**t the WP app store is, I realised most of my apps are not on their and I'm talking about useful and important apps as well as games. Fanboys like you won't notice until you actually use an android phone or an iPhone. I'm not gonna talk much about the WP tiles Ui cause all you said was just BS. Now why would normal people prefer looking at a block of tiles 24/7 over androids customisation that you can change to suit your personality and preferences? For instance? What activities can an Android phone do and a WP can't? Don;t talk to me about games because no Android can run FIFA 2014. Thanx Dastrix, u said it best..
1.Better Notification Bar 2.Wider range of devices 3. More manufacturers 4.Better Multitasking 5.Custom ROMs 6.Better Syncing 7.Set apps as default 8.Browsers with flash support 9.Larger app store, say what you like but WP still lacks chrome and many other brilliant apps I use daily 10. More customization, check out the website My color screen 11. Its Open Source! Need I go on or have I proved my point? Open soucre don't mean its powerfull..